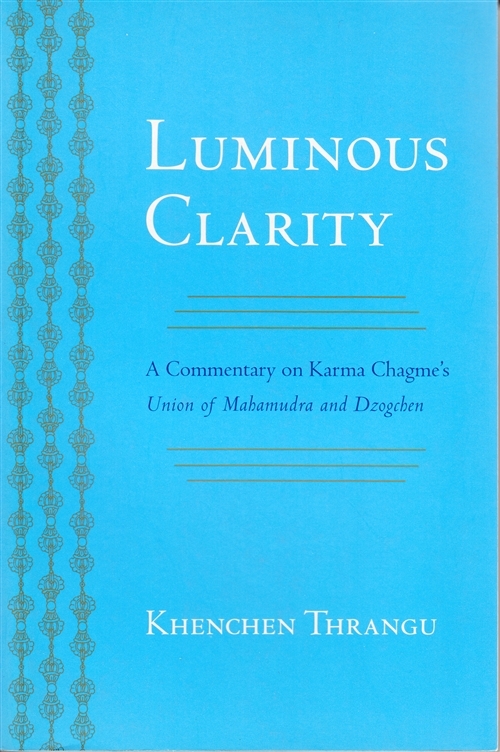 This book grows out of an oral teaching that Khenchen Thrangu gave in Crestone, Colorado, on Karma Chagme’s text Meaningful to Behold: The Essential Instructions of the Compassionate One on the Union of Mahamudra and Dzogchen. 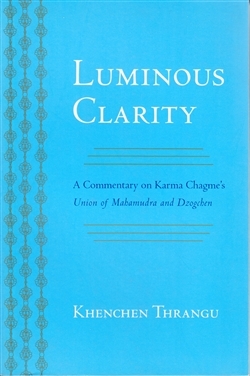 Thrangu Rinpoche explains in lucid detail the advanced meditation practices of Mahamudra and Dzogchen and also their similarities and differences, including advice on how to safely perform some of the more advanced Dzogchen practices. Karma Chagme was born in Tibet in 1613. He was a major lineage holder of the Karma Kagyu tradition of Tibetan Buddhism, and his writings have also become central to the Payul Nyingma order.